Backed by consistent efforts of vendor’s professionals, we are engaged in offering a broad range of Afinitor Tablets. The offered product is processed by consuming best quality chemical compounds and leading edge technology in accordance with medical sector standards of quality. In addition to this, our offered product is provided in different packaging to preserve its quality for long. For assuring its quality, product is examined on quality provisions & our customers can take this product from us at very reasonable rates. Generic Alkeran is a type of chemotherapy for treating cancer. Generic Almeran interferes with cell growth and treats cancers of the ovaries and bone marrow also used for treating multiple myeloma, melanoma, ovarian and breast cancer. The medicine is an alkylating agent of the bi schloroethylamine type. It is useful against both resting as well as rapidly dividing tumor cells. 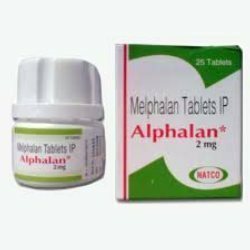 Alphalan is used for palliative treatment of multiple myeloma and for the palliation of non-respectable epithelial carcinoma of the ovary. The medicine works by slowing down or stopping the growth of cancer cells in the body. Altretamine is in the FDA pregnancy category D. This means that altretamine is known to cause birth defects in an unborn baby. Do not take altretamine without first talking to your doctor if you are pregnant or could become pregnant during treatment. 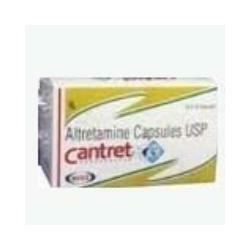 Contraceptive measures are recommended during treatment with altretamine. Do not take altretamine without first talking to your doctor if you are feeding a baby. The drug information on this page is meant for Information only. It is not a substitute for medical advice. 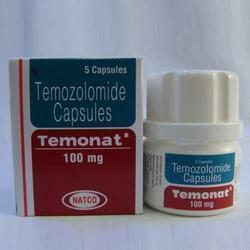 This drug may be used in treatment of diseases other then listed above. The information may not cover all possible uses, actions, interactions, or side effects of this drug, or precautions to be taken while using it. Please see your health care professional for more information about your specific medical condition and the use of this drug. Melphalan, also known as L-phenylalanine mustard, phenylalanine mustard, L-PAM, or L-sarcolysin, is a phenylalanine derivative of nitrogen mustard. Melphalan is a bifunctional alkylating agent that is active against selected human neoplastic diseases. 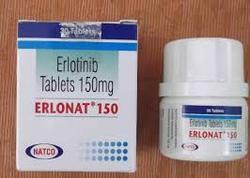 The medicine is formulated by using gefitinib and basically belongs to a class of anti-cancer medications called epidermal growth factor receptor (EGFR) tyrosine kinase inhibitors. 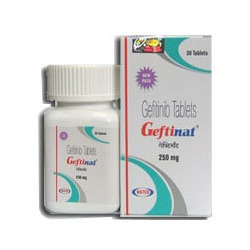 Geftinat is used for curing non-small cell lung cancer and effectively blocks the action of chemicals which multiply the growth of cancer cells. Alimta (Pemetrexed) is a chemotherapy injection used to treat two types of lung cancers: non-small cell lung cancer and mesothelioma, a rare cancer associated with asbestos exposure. 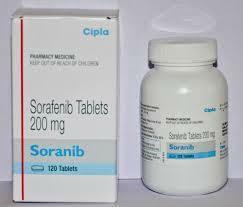 This cancer medication works by slowing the growth and spread of cancer cells in the body. The dosage of Alimta prescribed to each patient will vary. Always follow your physician’s instructions and/or the directions on the prescription drug label. If your physician has instructed or directed you to receive Alimta injection in a regular schedule and you have missed a dose of this medicine, call your doctor as soon as possible. Any medication taken in excess can have serious consequences. If you suspect an overdose of Alimta, seek medical attention immediately. Like other medicines, Alimta can cause some side effects. If they do occur, the side effects of Alimta are most likely to be minor and temporary. However, some may be serious and may require the individual to inform the doctor or visit the nearest hospital immediately. It is pertinent to note that side effects of Alimta cannot be anticipated. If any side effects of Alimta develop or change in intensity, the doctor should be informed as soon as possible. Alimta can cause side effects such as nausea, vomiting, loss of appetite, sore throat, fever, diarrhea, constipation, indigestion, and rash. This is not a complete list of all side effects. Do concur with your doctor and follow his directions completely when you are using Alimta. Usually drug interactions occur when it is taken with another drug or with food. Before you take a medication for a particular ailment, you should inform the health expert about intake of any other medications including non-prescription medications, over-the-counter medicines that may increase the effect of Alimta, and dietary supplements like vitamins, minerals and herbal, so that the doctor can warn you of any possible drug interactions. Alimta can interact with non-steroidal anti-inflammatory drugs. 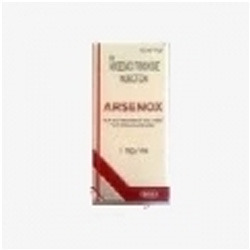 Generic for Trisenox (Arsenic Trioxide) is a cancer medication used to treat a type of cancer called acute promyelocytic leukemia or APL (blood and bone marrow cancer). Arsenic Trioxide belongs to a class of medications called anti-neoplastics. This injection medication works by slowing the growth of cancer cells in the body. How does P-Carzine (Procarbazine HCL) work:P-Carzine (Procarbazine HCL) is used as a treatment during the stages 3 and 4 of Hodgkin lymphoma. 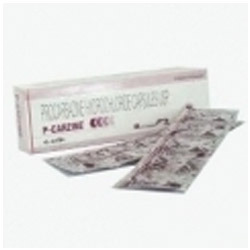 P-Carzine is an anti-neoplastic drug that is commonly used alongside other medication to inhibit the growth of cancer cells. 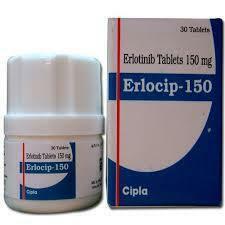 Be aware that this medication also effects non-cancerous cells and use will likely have side effects. 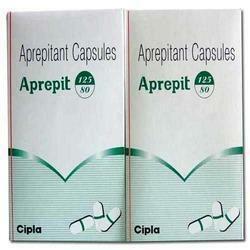 We are the largest supplier of Aprepitant Capsules. 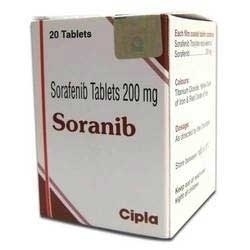 It is used in treating of lung diseases. All our products are procured from our most reliable vendors present in the market. Our team of expert analysis the medicines before letting our company buy to deliver in the market. One can easily find these products at the stores nearby at a very pocket friendly rate. Ibandronic Acid Injection is manufactured by our famous vendors, who make use of optimum quality ingredients for the preparation process. 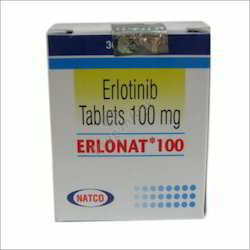 The offered set of tablets is widely used for the treatment and prevention of osteoporosis in postmenopausal women. 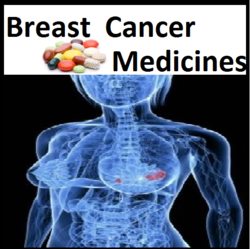 Breast Cancer Medicine offered comprises medicines offered under different brand names and constitution configurations so as to perfectly match up with the specific usage suitability demands. Further these breast cancer medicines also come approved by Food and Drug Administration for safe and effective usage for treating breast cancer. 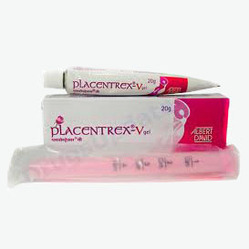 Further, these medication options come with quality packaging support so as to assure of reliable performance. 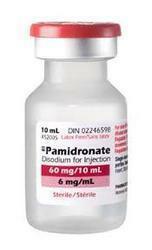 From the very first day of our inception, we have been successfully manufacturing, supplying and exporting Pamidronate Disodium for IV Infusion BP 90 Mg. Used to cure breast cancer and hypercalcemia of malignancy, this medicine is provided in one vial of ninety mg.
We are offering Alkeran Tablets which are an alkylating agent. It works by destroying resting and rapidly dividing tumor cells in certain types of cancer. Treating symptoms of certain types of cancer (multiple myeloma, ovarian cancer). It may also be used for other conditions as determined by your doctor. 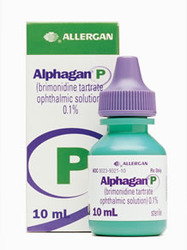 Alkeran tablets should only be used under the supervision of a doctor experienced with the use of cancer medicines. 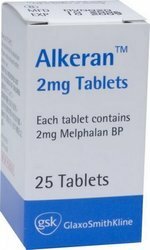 Alkeran tablets may cause a decrease in the body's blood cells (bone marrow suppression), which could cause bleeding problems or infection. It may also cause a certain type of blood cell cancer (leukemia). 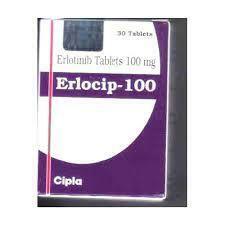 Offering these products at very reasonable market rates and used for the treatment of bronchospasm. Moreover, these products are available in given frame of time. 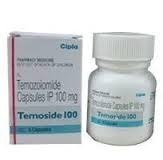 Temonat - Temozolomide 100mg Capsule also known as generic Temodar or Generic Temodal belongs to the general group of medicines known as antineoplastics. It is used to treat specific types of cancer of the brain in adults whose tumors have returned and whose tumors have just been diagnosed. 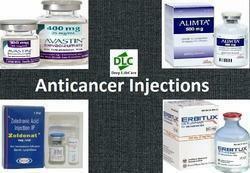 we are offering a wide range of anti cancer injection which is procured from reliable sources across the globe. 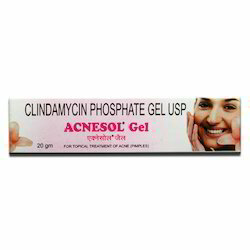 Our range is supplied in bulk to the leading chemist shops and hospitals across the globe. We pay paramount attention towards the quality of our range and make sure that these anti cancer capsules are packed in proper packing material. 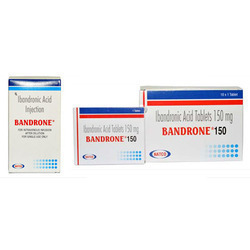 Bandrone Tablets is a prescription drug and should be used under proper medical guidance and advice. Do not share the medicine with others, since they may be suffering from a problem that is not effectively treated by this drug. 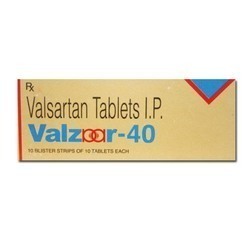 Valsartan is used to treat high blood pressure (hypertension), prevention and treatment of heart attack (myocardial Infarction) and heart failure; when heart is unable to pump sufficient blood. It is also used in kidney disease due to diabetes. How it worksValsartan belongs to group of medicines called angiotensin-II receptor inhibitors. Angiotensin II is a chemical that causes muscles surrounding the blood vessels to contract, thereby narrowing the blood vessels. Valsartan blocks the action of angiotensin II resulting in relaxation of blood vessels, and thus, reduces blood pressure.